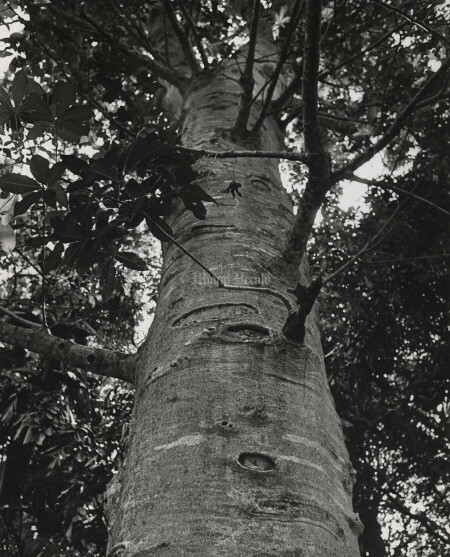 For decades David Fairchild, botanist, horticulturist, and explorer, traveled the world collecting unique specimens of tropical plants and trees. 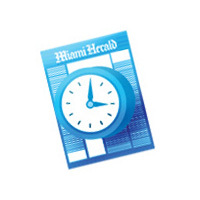 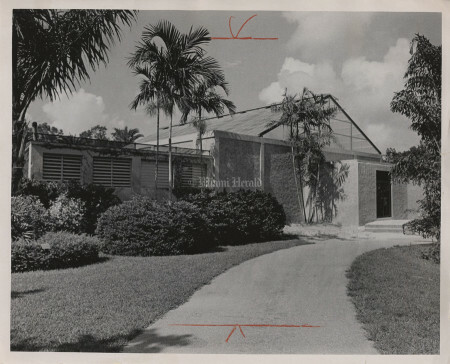 In charge of the federal government’s Section of Seed and Plant Introduction, he first came to Miami in 1898 from his Washington, D.C., office to see a laboratory set up in a clearing in a wild hammock at what now is Brickell Avenue and Southeast 13th Street. He returned in 1912 to observe the results of the testing. 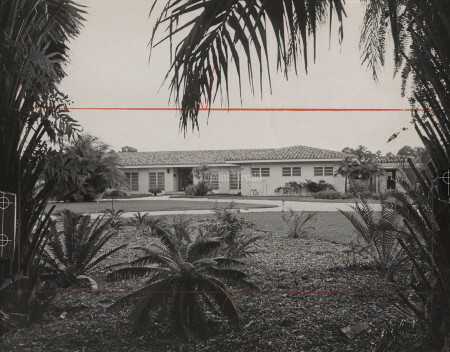 “I would give almost everything I own if there might come over me again the feeling of unbelievable delight which those first moments in 1912 brought as we looked out of the window at what then was the little town of Miami,” he wrote in 1947. 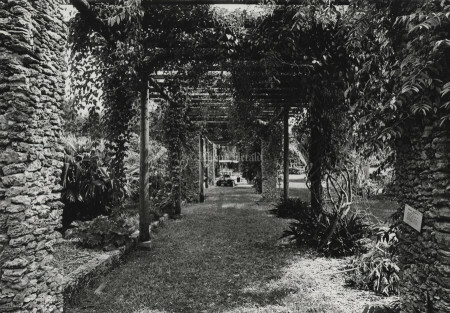 Fairchild spent his winters at The Kampong, which he bought in 1916. Upon retirement in 1928, he moved here permanently. 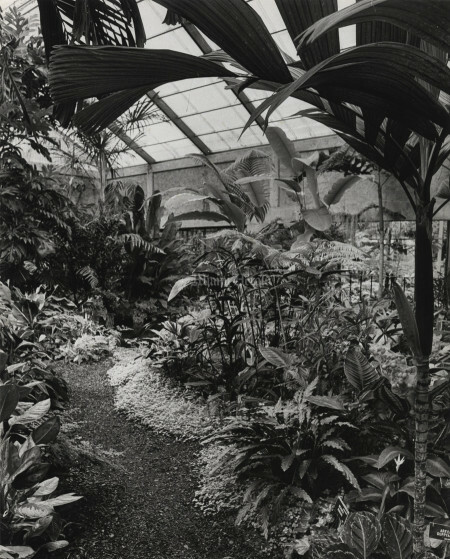 In the years that followed, Fairchild interested New York tax attorney Col. Robert Montgomery in the prospect of a tropical botanical garden. 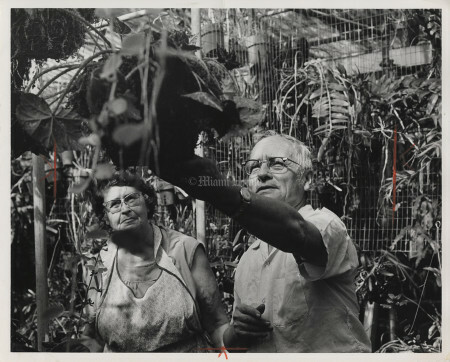 Montgomery’s hobby was plant-collecting. 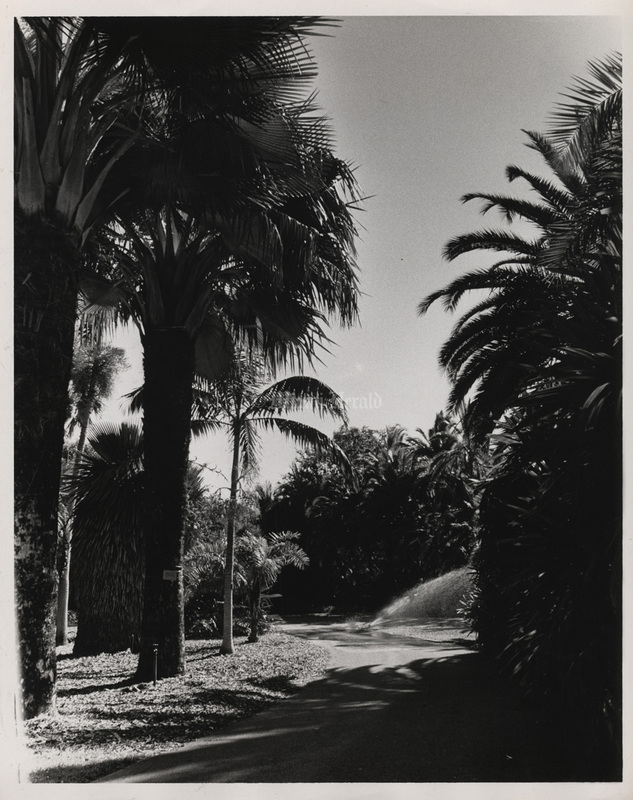 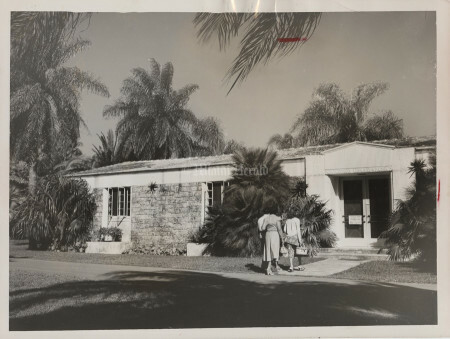 He bought property where Old Cutler Road meets Southwest 57th Avenue and, with Fairchild’s help, introduced many species of palms. 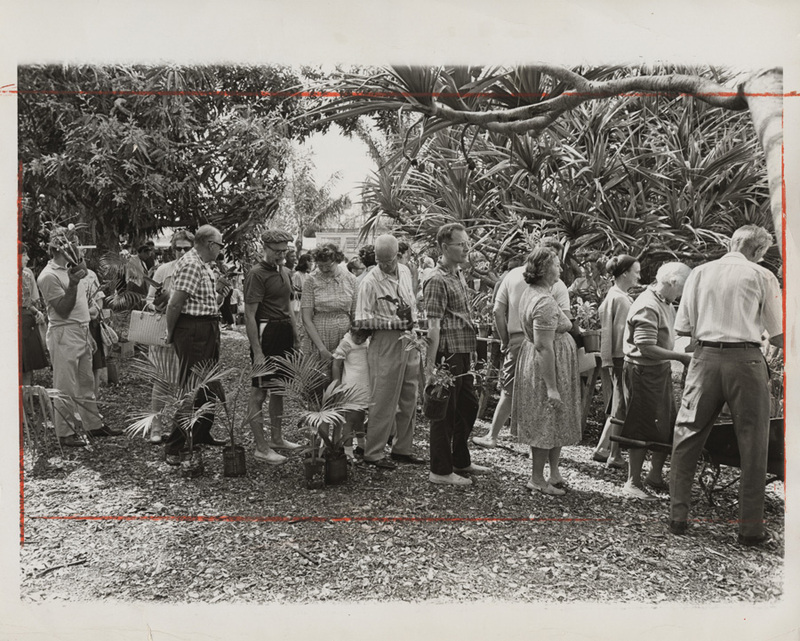 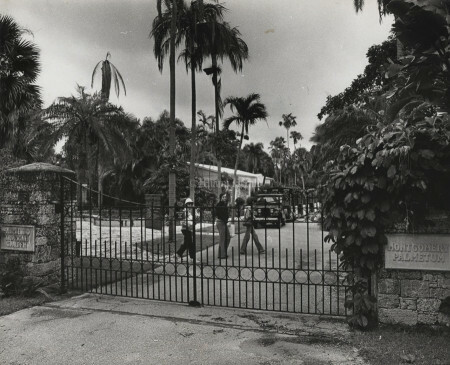 In 1935 Montgomery bought the property that now is the site of Fairchild Tropical Garden and named it in his friend’s honor. 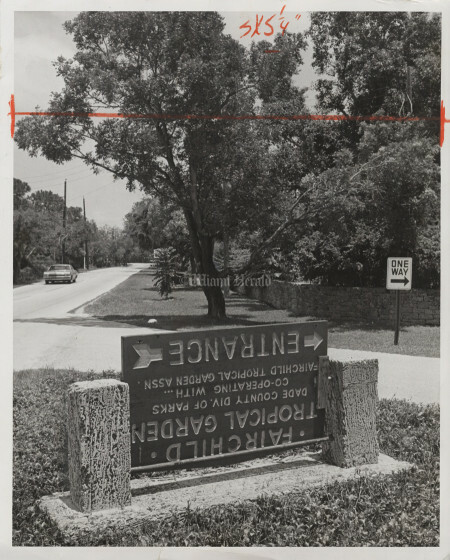 It was dedicated in 1938. 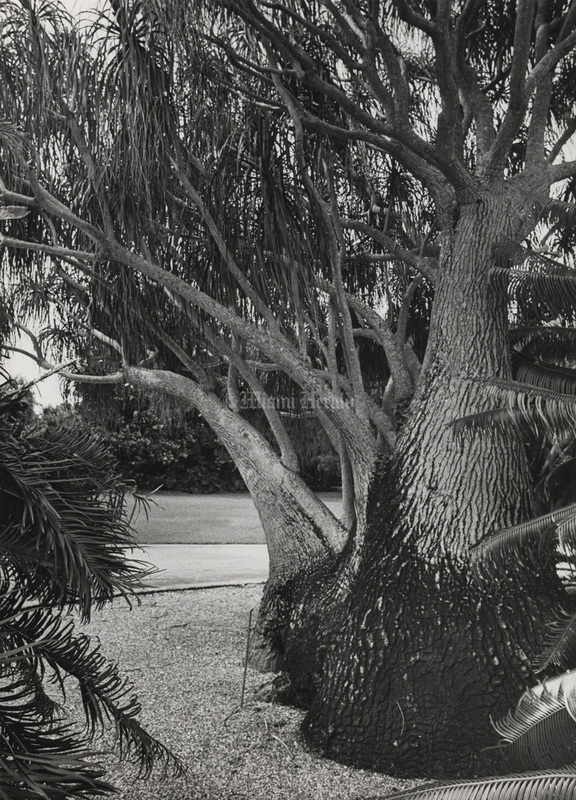 William Lyman Phillips, who was then building Matheson Hammock Park for Dade County and had been a member of the Olmsted Brothers landscape architecture firm near Boston, became the garden’s landscape architect. 3/4/1954, John Walther/Miami Herald: (BACK OF PHOTO) Palm products museum... you can wear and eat palms as well as decorate with them. 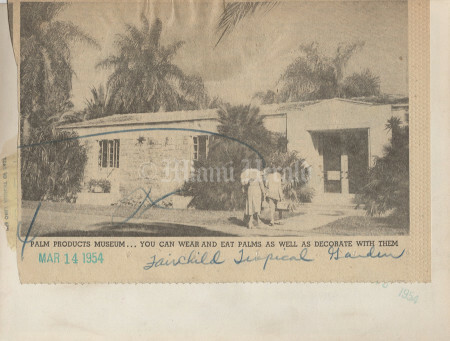 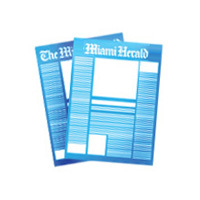 3/4/1954, John Walther/Miami Herald: Palm products museum... you can wear and eat palms as well as decorate with them. 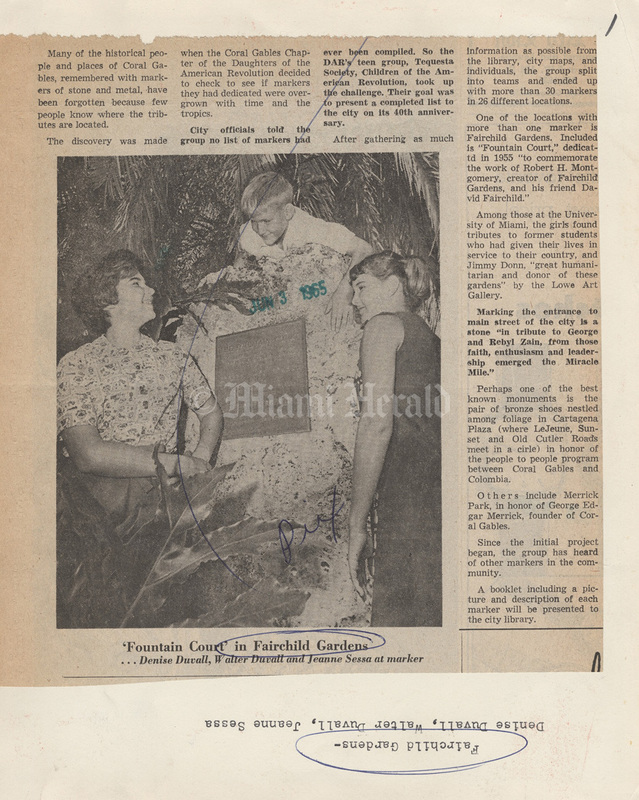 6/3/1965, Albert Coya/Miami Herald: Fairchild Gardens- Denise Duvall, Walter duvall, Jeanne Sessa. 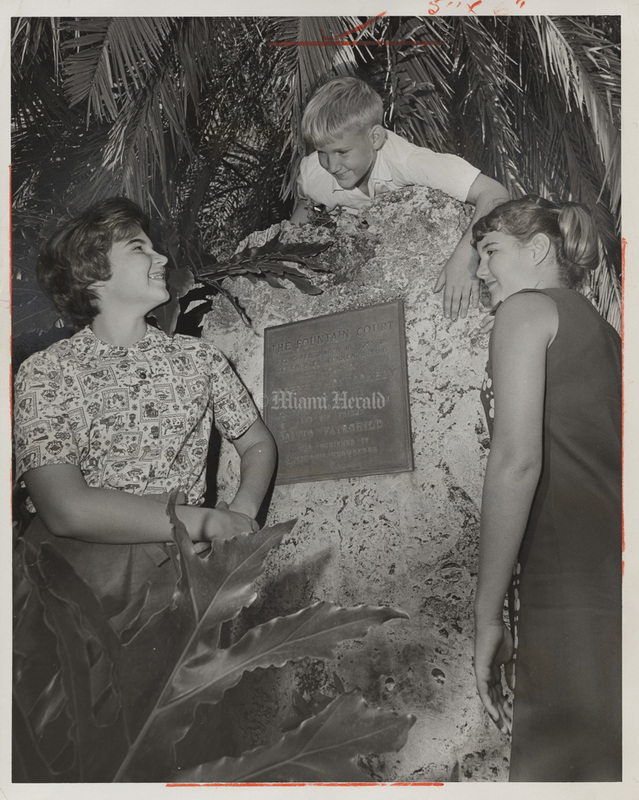 [6/3/1965, Albert Coya/Miami Herald: Fairchild Gardens- Denise Duvall, Walter duvall, Jeanne Sessa. 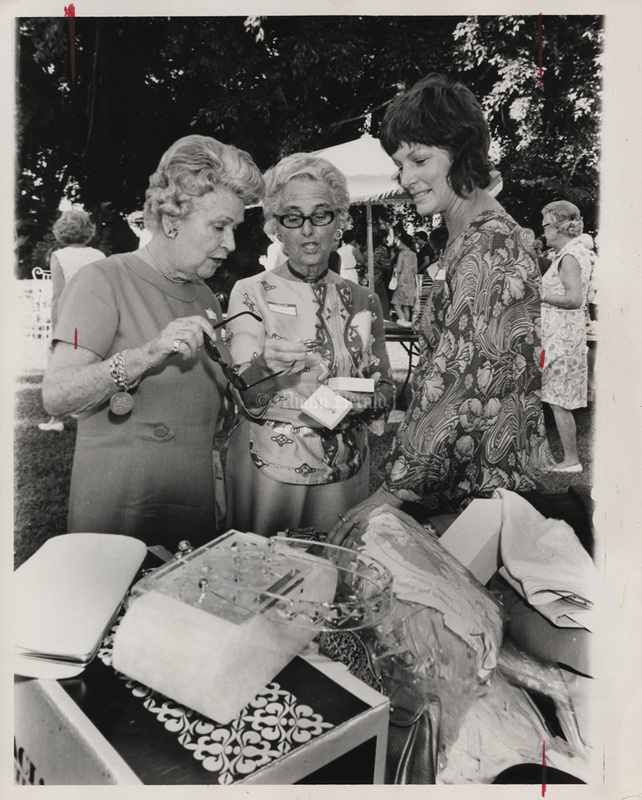 11/17/1971, Albert Coya/Miami Herald: Mrs. Richard Sutherland, Mrs. A. Sidney DeWolf Herreshoff, and Mrs. John C. Lilly. 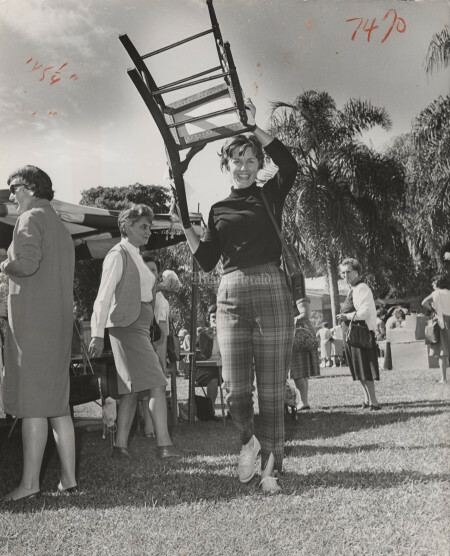 11/30/1962, Albert Coya/Miami Herald: Gwen Hartling goes out and proud with a chair. 9/2/1977, Bob East/Miami Herald: Pathway down into the well of rare plant house. 8/12/1965, Bob East/Miami Herald: Fairchild sign along Old Cutler road slightly askew. 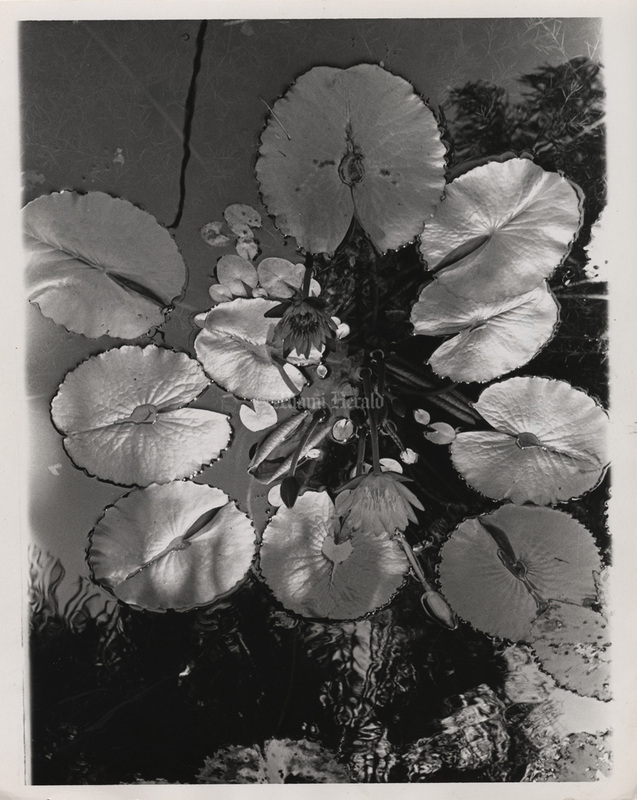 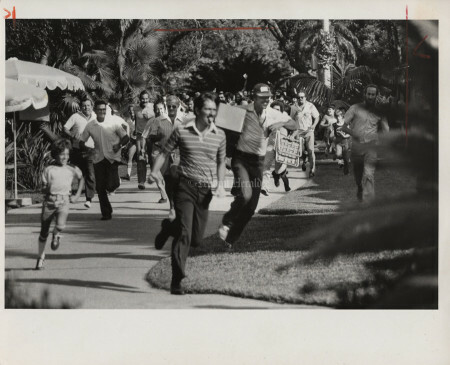 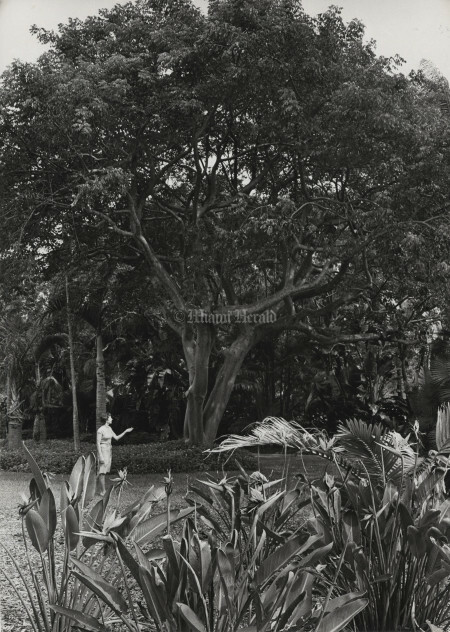 12/12/1969, Gus Schuettler/Miami Herald: Fairchild Tropical Garden. Miami Herald, January 13, 1973. 9/2/1977, Bob East/Miami Herald: The Vine pergola- millions of pieces of limestone and coral mined and put together by the old CCC during WWII. 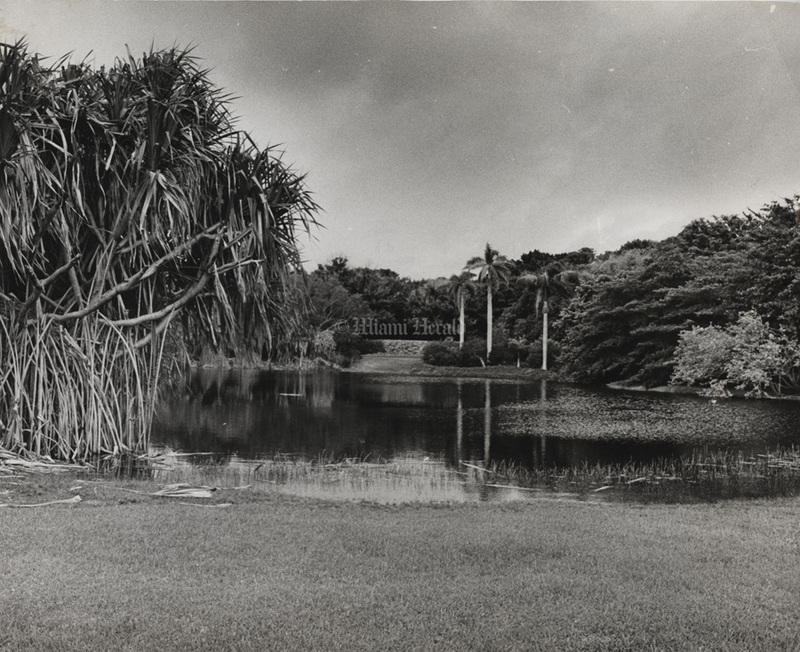 9/2/1977, Bob East/Miami Herald: Pandanus, or walking trees stand on tippy toe overlooking one of the lakes in Fairchild. 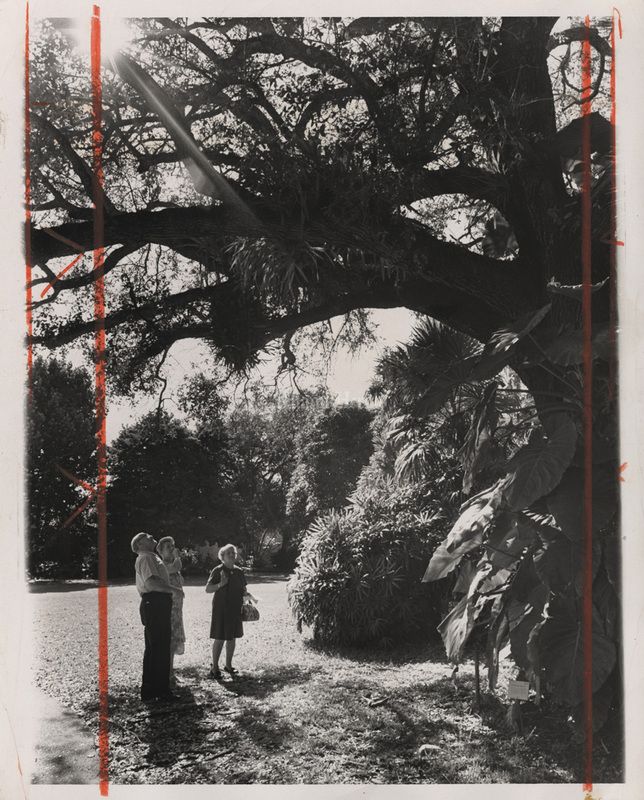 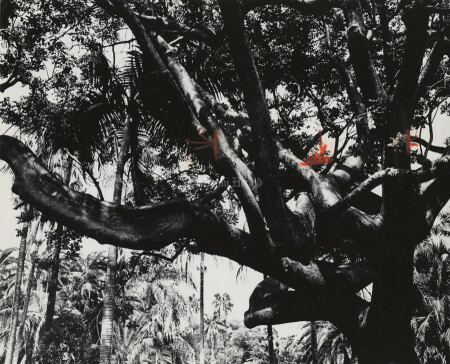 12/18/1970, Albert Coya/Miami Herald: Bird of paradise flowers in front frame the Gumbo Limbo tree shown by guide Roberta Lurie. 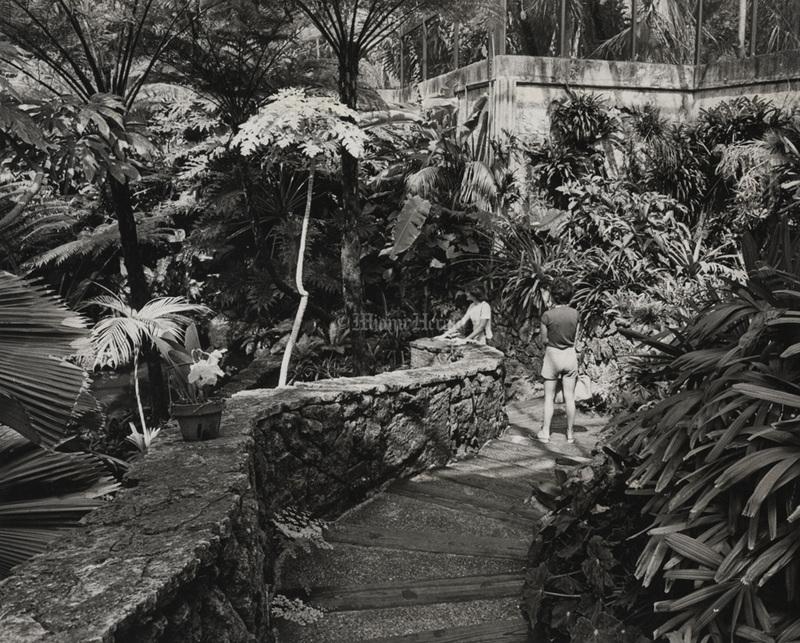 12/18/1970, Albert Coya/Miami Herald: Fairchild Tropical Garden. 6/26/1967, Dave Didio/Miami Herald Staff: New plant display house at Fairchild Tropical Gardens. 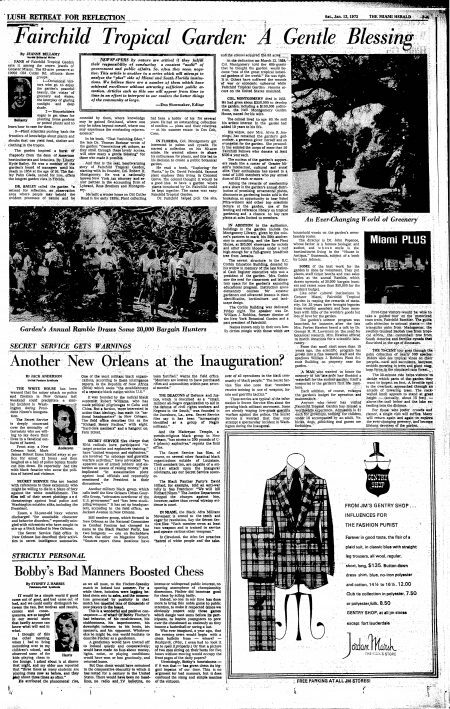 9/2/1977, Bob East/Miami Herald: Gumbo Limbo branches. 9/2/1977, Bob East/Miami Herald: Inside rare plant house.